First edition of the author’s masterpiece and one of the most widely used college textbooks on comparative religion. Octavo, original cloth. 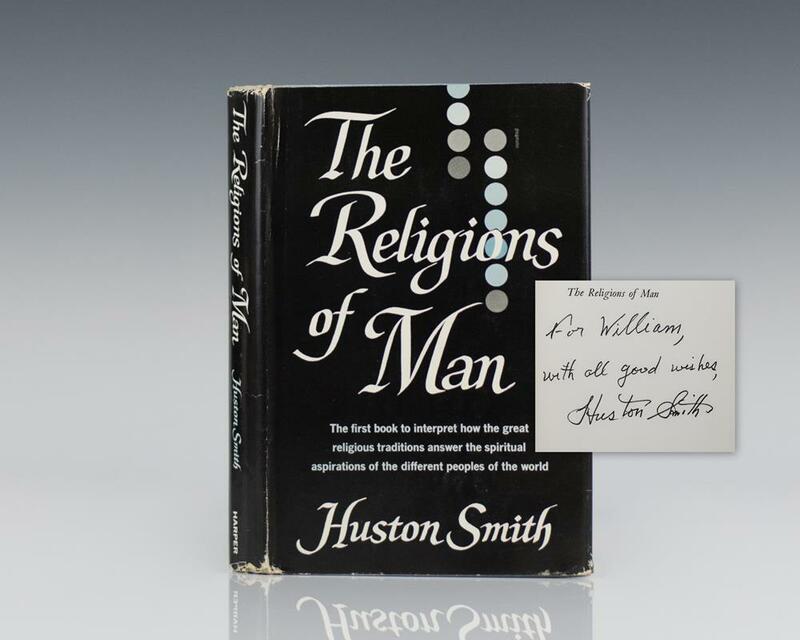 Inscribed by Huston Smith on the half title page. Very good in a very good price-clipped dust jacket with light rubbing and wear. Rare and desirable signed by Huston Smith. The Worlds Religions is the definitive classic for introducing the teachings of the world's predominant faiths, including Hinduism, Buddhism, Confucianism, Taoism, Judaism, Christianity, Islam, as well as regional native traditions. It has sold over 2 million copies since its original publication. 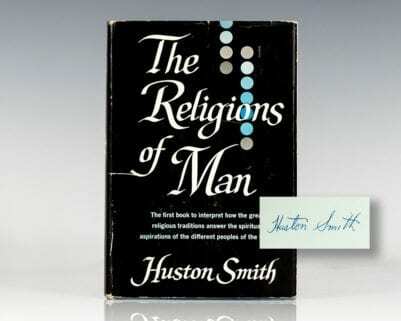 First edition of the author’s masterpiece and one of the most widely used college textbooks on comparative religion. Octavo, original cloth. Signed by Huston Smith on the front free endpaper. Near fine in a very good dust jacket with light rubbing and wear. Rare and desirable signed by Huston Smith.